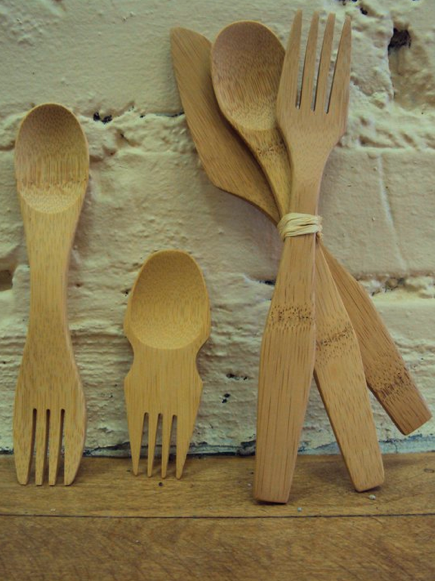 Posted on Aug 22, 2011 by Appleton Downtown Inc.
Bamboo utensils by Bambu are available at Just Act Natural. Just in time for back-to-school (or for grown-ups, too). We have the large spork for $6.75; the hugely popular small spork for $2.50; and the three-piece set of knife, spoon, fork for $8.75. Look cool and sustainable all at the same time!